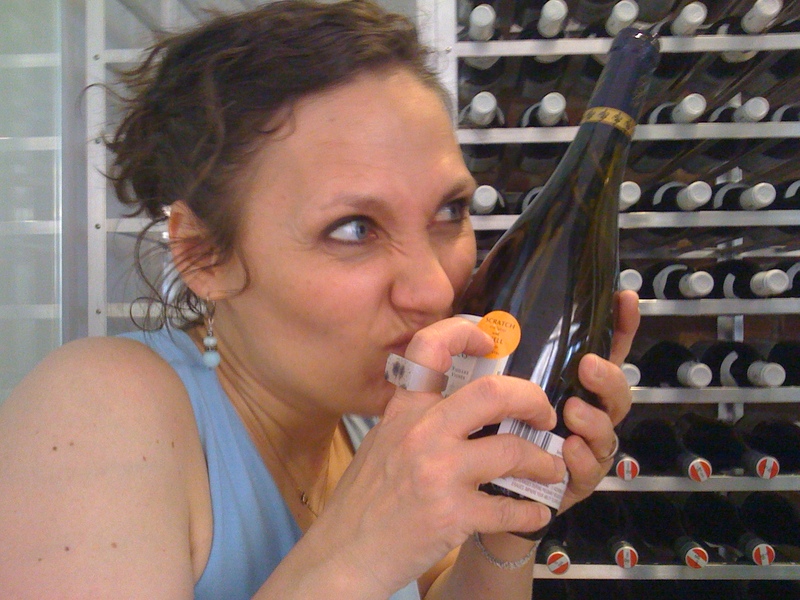 We’ve been serving Bourillon-Dorleans ‘Coulee d’Argent’ Vouvray Sec by the glass at L’Ecole for a long time. Hand-harvested grapes, from 30+ year old vines, it’s consistently tasty each vintage – notes of apple, pear, and passion fruit, with great acidity, flinty mineral notes and some creaminess on the palate. My iphone does not take stellar close-ups. 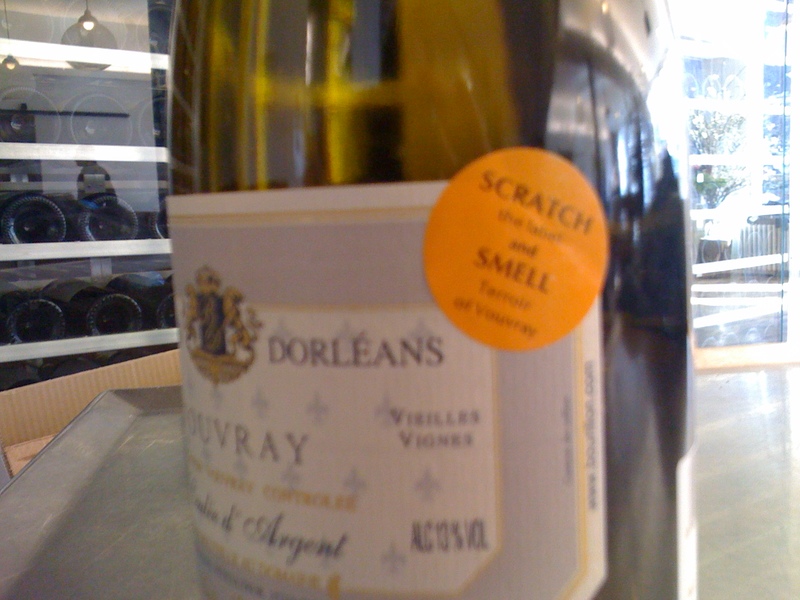 Recent deliveries have included orange label stickers, stating, "scratch this label and smell the terroir of Vouvray". Marcella demonstrating proper technique. Hopefully, she finds this photo as amusing as I do. It really does smell like flinty clay! Hopefully, the scratch and sniff concept will work out better for the Domaine than it did for the Baltimore Gas and Electric Company in the 1980s.